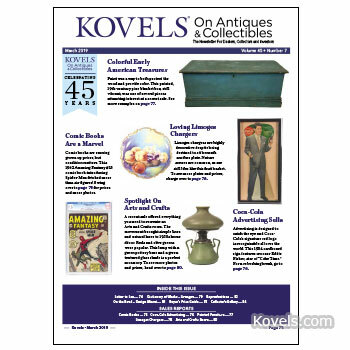 Kovels' March 2019 newsletter features comic books, Coca-Cola advertising, painted furniture, Limoges chargers and Arts and Crafts accessories, all with information, photos and prices. 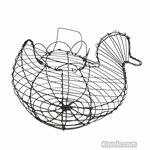 Some collectors like to hunt for things that remind them of their travels or special events. 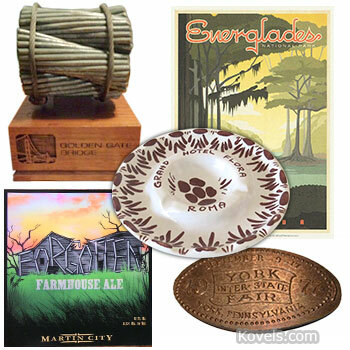 Here are 10 souvenirs that our readers collect, including a few more you might never have considered. Will Your Valentine Card Be Worth a Fortune? What could be more fun than hunting for valentines? 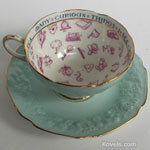 They’re pretty and romantic and very collectible. 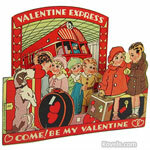 Fall in love with vintage valentines. Here are some tips to help get your collection started.